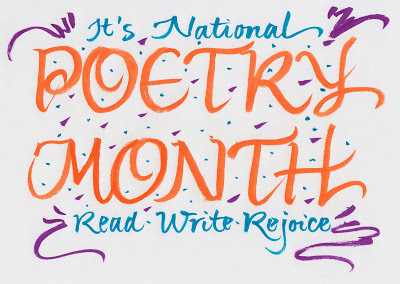 Teens and Adults are invited to write and perform poems or stories (fiction or true) in front of an audience and try for a prize (rules apply). All mature audiences are invited. Performers must register by calling 447-5552 or emailing tnarducci@conwaypbliclibrary.org before 5PM on Friday, April 5th. The Bluebirds Welcome Spring, April 2nd, 6:30 PM. Free! Refreshments Served. singers of all types, ages and abilities. The group’s warm community spirit, and audience interaction makes for a comfortable and uplifting evening of song, humor, music and joy. Karen will present a talk about her 23 years as a Catholic nun in Massachusetts. Her challenges and blessings will be integrated with pictures, humor, and a bit of history. 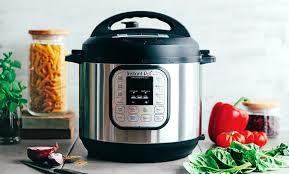 Seasoned instant pot users will demonstrate how to make their favorite recipes as well as share some samples for tasting. They will also discuss safety measures. 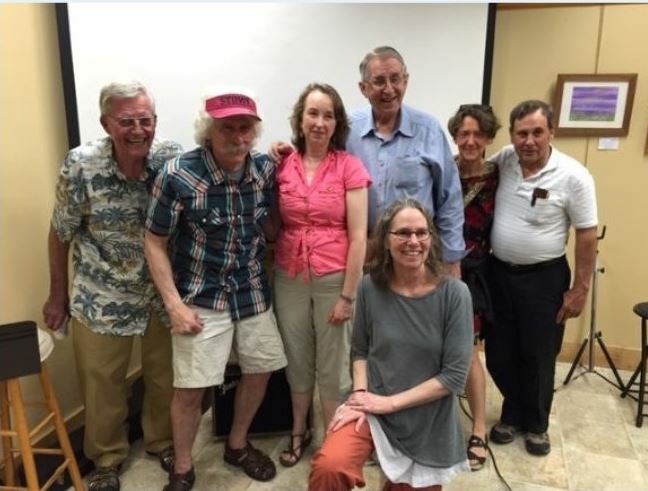 At their February meeting the Library Trustees voted unanimously to join the Northern New Hampshire Library Cooperative (NNHLC). The Conway Library will migrate it's online catalog into the NNHLC catalog. The "go live" date is May 13th. Patrons will now be able to view the holdings of not just the Conway Library, but the holdings of the libraries in Tamworth, Madison, and Jackson. Conway patrons will now be able to request materials of those libraries directly through the library catalog. It will no longer be necessary to submit an Interlibrary loan request for materials held at these libraries. Additionally, Conway card holders will be able to walk into those libraries and check out materials themselves. If you have any questions about NNHLC please contact library director David Smolen. 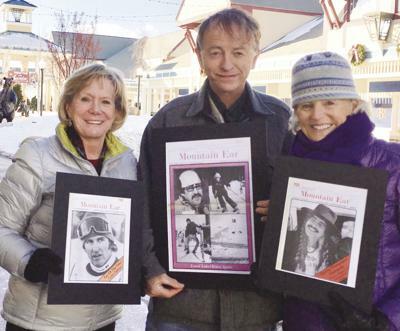 Newspaper legend and community treasure Tom Eastman, former assistant editor of The Mountain Ear, will give a talk on the stories and history of the iconic publication The Mountain Ear. Is your Android running out of space? Is your iPhone slow? Does your Nook need an upgrade? Is your FitBit throwing fits? 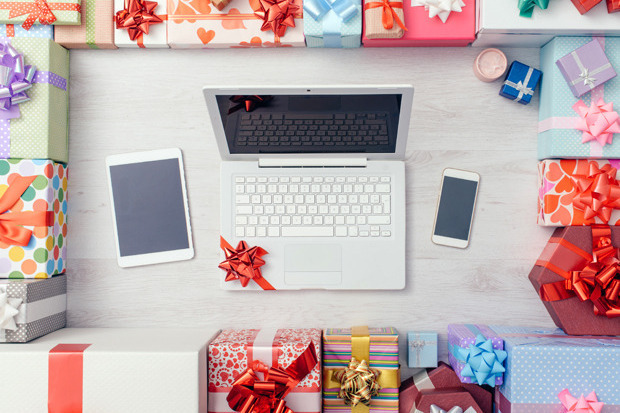 Can't move your files from one device to another? Bring your device and your questions to our open forum, and feel free to share solutions you've found.CPL Tech Librarian Kate Belisle will be available Thursday nights in April to answer any and all tech questions. .
SAVE THE DATE. 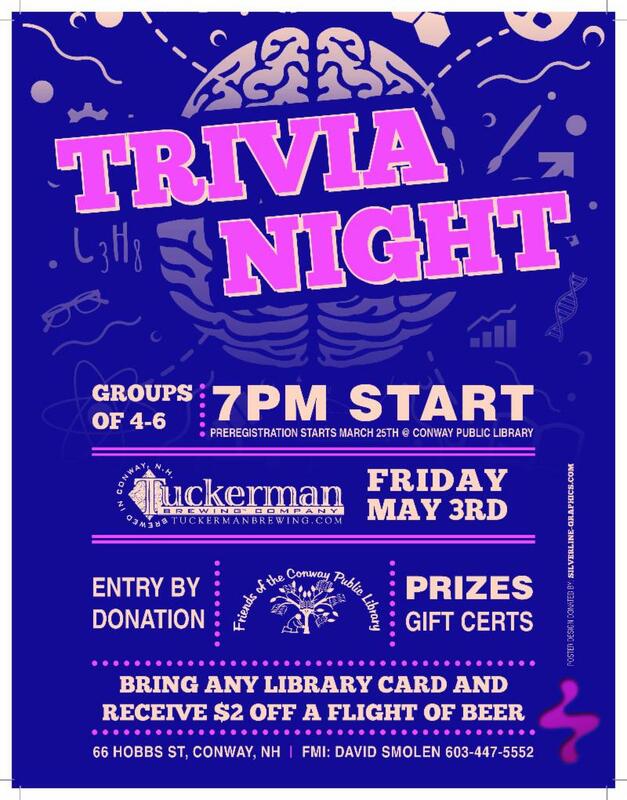 Trivia Night at Tuckerman's Brewery May 3rd at 7:00 PM. This is going to be fun! $2 off a flight of beers when you present any library card!